Hello. This is a bowl of spicy noodle deliciousness and there’s tons of flavor going on here. Which makes me happy because I’m all about flavor. 1.) Roasted Cashew Nuts. OMG, yes. 2.) Dry red chilies. Aren’t they a fiery looking beauty? But don’t be scared, we’re only using them for flavor and not a lot of spice. Now I know this recipe might seem like a lot, what with all the steps. BUT it’s delicious, it’s hot, it’s a little bit spicy, it’s crunchy with the veggies, and nutty from the roasted cashew nuts. I promise you won’t regret investing time into making this, because the ROI (return on investment) is in the form of flavor fireworks in your mouth. Hehe. This is what happiness in a bowl looks like for me. And I think you’d agree with me after you make it. 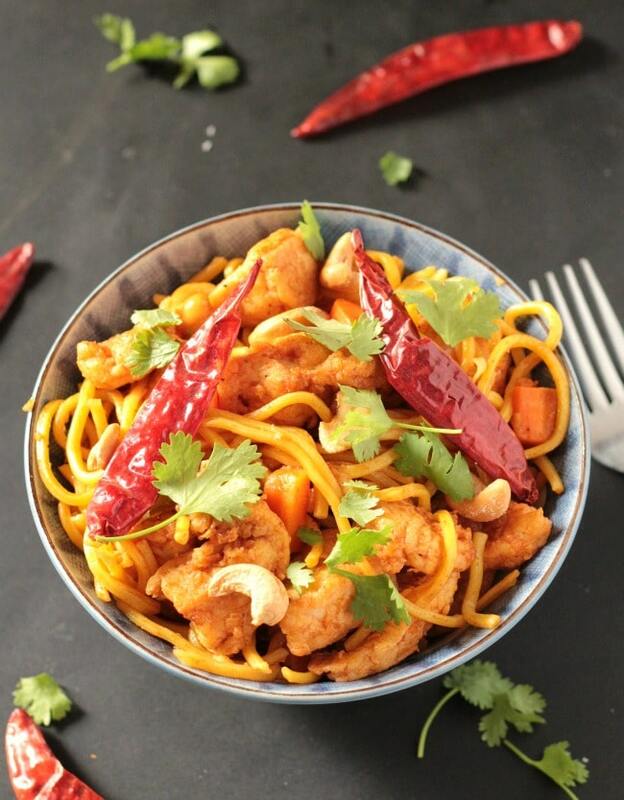 These Spicy Chicken Cashew Noodles are full of flavor and texture, and so delicious to eat! 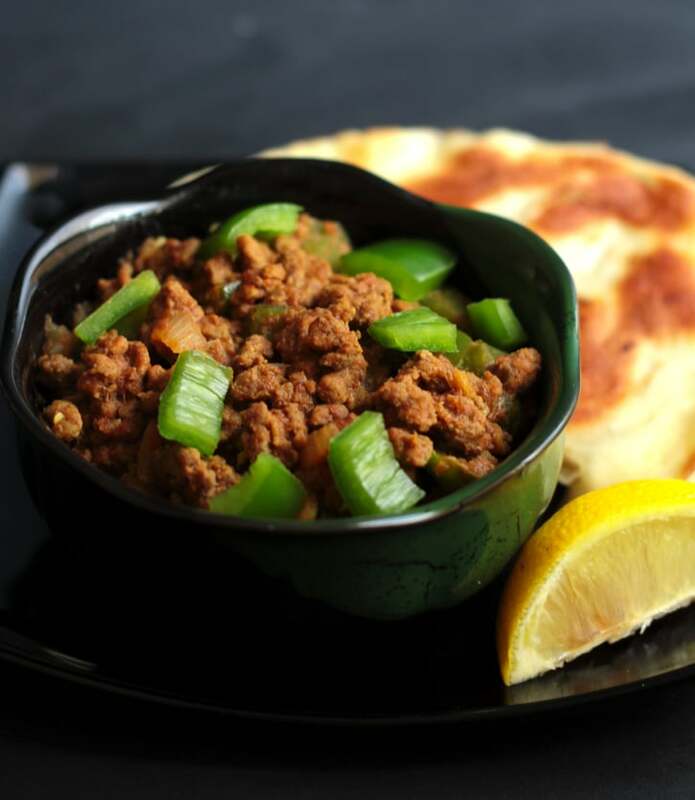 Perfect for when you're in the mood for an indo-chinese recipe! A handful of chopped coriander for garnishing. 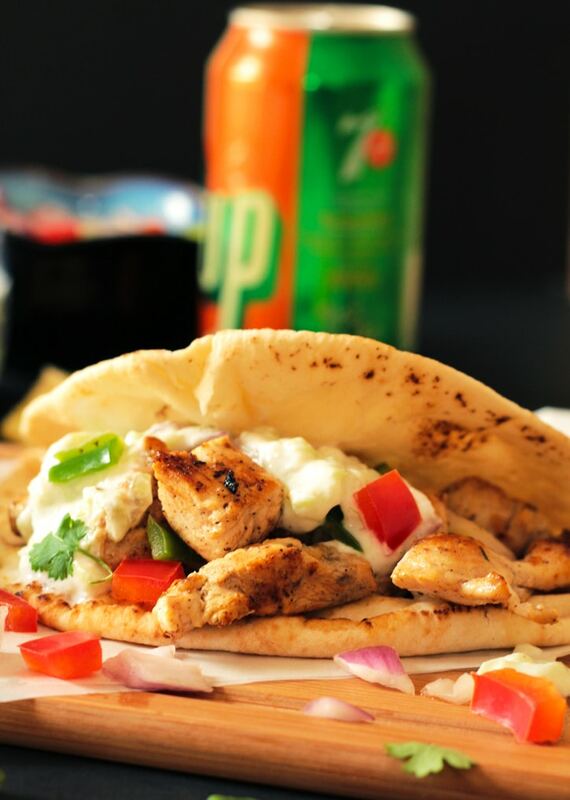 Marinate the chicken with marinade ingredients. Heat 1/2 cup oil in a fry pan and fry the chicken until golden brown. Cook the egg noodles according to the directions on the package. Drain and set aside. Heat oil in a medium sized pot or wok. 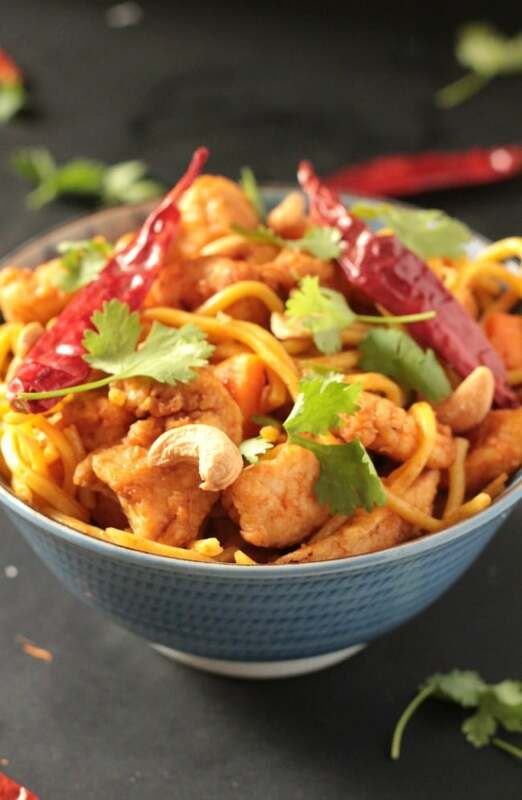 Lightly saute the cashew nuts and dry red chilies until lightly golden. This will only take about 30 seconds, be careful not to burn the cashew nuts. Transfer the cashew nuts and dry red chilies to a plate. Do not drain oil from the pot/wok. In the same pot/wok, add the onions and cook until light golden and translucent. Add in the ginger garlic paste and fry for 1 minute. Next add in the capsicum and lightly fry for 2-3 minutes. Add in the soy sauce and tomato ketchup. Cook for about 2-3 minutes until the ketchup is thick. Pour 1/4 cup of water into the chicken and let it come to a boil. Cover and cook on low flame till carrots are softened. Add in the noodles and mix until fully combined. 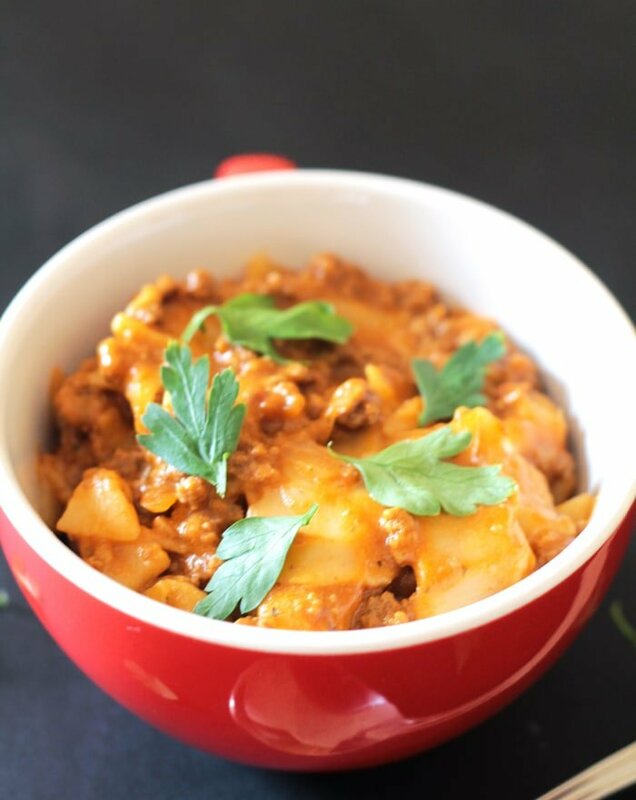 Looking for more delicious dinners? This looks like a bowl full of happiness to me, too! 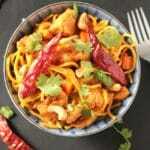 Love a little spicy kick and those cashews and egg noodles?! YUM – I’d happily eat up two bowls! Yummed and pinned!